Is aikido a sport? Are there aikido tournaments? Is Aikido effective in real situations? To answer this question we need to define what we mean when we say "real situations". If we mean any form of tournament, then the answer is that aikido is not a sport and has no tournaments. On the other hand, if what you mean by a real situation, it has to do with what you have seen on television or cinema, it is good to know that in the entertainment industry these is the so called fighting choreography, a specialized technique designed to create the illusion of real battle conditions. 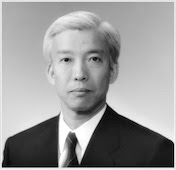 The Founder of aikido, and many of his students were forced to respond to challenges, which have carried out successfully by building a solid reputation around the effectiveness of aikido. So aikido is taught in the military and police forces around the world. Given that it is impossible to define all the conditions and possibilities of attacks that may occur in a real situation, it is not possible to design appropriate techniques for each emergency scenario. However, even though the goal of aikido is not limited to self-defense, aikido strengthens the mind and body, while teaching principles that will ultimately form the basis for an appropriate response to a situation. Why are some technical differences between the instructors of aikido? Aikido consist of techniques based on physical movements. The natural movements of different people differ due to various reasons such as anatomy, age etc.. Although the core techniques of aikido is specific, there is no a strict technical application course, apart from common sense and the principles of nature. 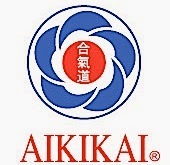 The applications of aikido techniques are natural and spontaneous, and therefore are diverse and multifaceted. However, there is a common spiritual and technical axle that of the Founder, which unifies the different approaches. Are There different styles of aikido? If we use the term style of aikido, we draw distinct lines degrading the universality of the art. 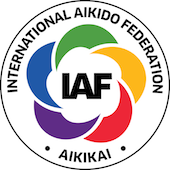 Certainly there are several systems that use the name of aikido, some of which have been created by former students of the Founder and some of them may recommend competitions, which is opposed to the teaching. So regardless of the name or similarity, the deviation from the spirit of the Founder is not aikido. What do I need to start Aikido? First you need to find a school. Most clubs have websites where you can get various information (e.g. biographical notes, affiliation with organizations abroad, locations, contact info, etc..). Do not hesitate to visit a school and watch a class after you ask permission. One can start aikido, at any time during the year. -And If I'm not fit? Aikido is not a sport but a martial art. There is a difference and therefore no particular physical condition is required to start. Along with the training, each trainee develops gradually physical and spiritual qualities, according to their own pace and without competition with their fellow practitioners. -How to choose a good dojo? 1. safety conditions and rules. 3. the awareness of the instructors. 4. recognition of the school, instructors and certificates. Are there rules in aikido? Unlike many other masters of martial arts, who tended to express complex rules for their dojo, the Founder required his students to simply follow the natural common sense. Yet, as aikido was spreading, older students asked the Founder to establish some kind of guidelines for training. "Times have changed, it seems," Morihei Ueshiba replied with a smile and came up with the "Precautions for Aikido Training". 1. Aikido techniques can be instantly lethal so it is essential to observe the instructor’s direction at all time and not engage in contests of strength. 2. Aikido is an art in which "the one" is used to strike "the many." Train yourself to be mindful of attacks coming from four and eight directions. 3. Always train in a vibrant and joyful manner. 4. The instructor can only impart a small portion of the teaching. Only through ceaseless training can you obtain the necessary experience to bring these mysteries alive. 5. In daily training, begin with basic movements to strengthen the body without overexertion. Warm up properly, and there will be no fear of injury, even for older people. Enjoy yourself while training and strive to comprehend its true purpose. 6. The purpose of Aikido training is to forge the body and mind and to build one’s character. The techniques are transmitted from person to person on an individual basis, and should not be disclosed indiscriminately to outsiders, nor used for evil purposes.